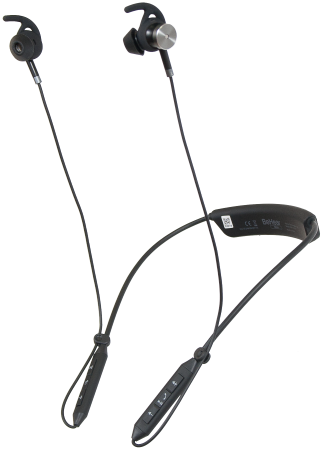 BeHear® is a personalizable Bluetooth stereo headset that provides enhancement for all-around hearing (for phone calls, audio play, and ambient hearing), as well as assistive listening functionality. BeHear can be tuned to address your specific hearing capabilities for all applications, such as voice communication via mobile phone, listening to music, etc. 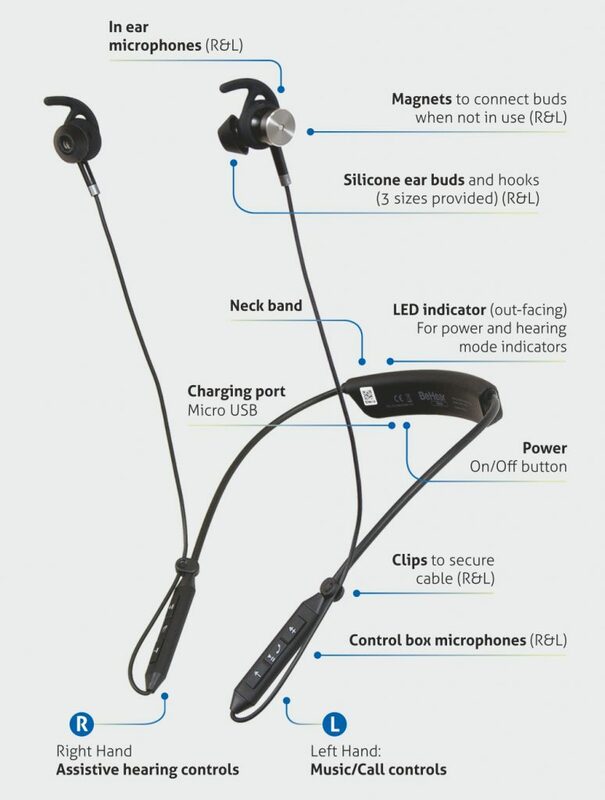 BeHear functions as a Bluetooth headset with advanced capabilities, personal sound amplifier and, when paired with a transmitter, as an assistive listening device. While it can be used in a standalone mode, it is also tunable and customizable from a smartphone, tablet or PC. BeHear is a high-quality Bluetooth personalizable headset with built-in hearing enhancement features for an optimal listening experience. Although your hearing may not be classified as impaired by the medical community, it is a proven fact that most people lose the ability to hear the full spectrum of sound as they get older. This reduction in the ability to process sounds at various spectra diminishes your hearing enjoyment, especially when listening to music. Hearing aids, developed specifically to improve the ability to hear spoken language, cannot help you overcome this deficiency since they typically support frequencies of up to only 5KHz. BeHear supports up to 12 KHz, greatly enhancing the listening experience at live concerts. Streamed music via Bluetooth audio (from music players, mobile phones, remote microphones, or remote TV transmitters) can be also be personalized for your hearing preferences and capabilities. 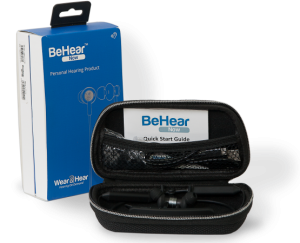 BeHear includes four separate microphones for hearing enhancement and clarity of voice conversations. Beamforming technology in BeHear improves identification and isolation of your voice, no matter in which direction you move your head. Its multi-microphone technology feeds intelligent algorithms that cancel out unimportant noise. The result: improved intelligibility of spoken language. Whether you are conversing in person or on the phone, or listening to music, let your ears hear the important sounds while disregarding distracting noise. With BeHear technology, ambient, low-frequency noises are reduced – through active noise cancellation technology – while high frequency sounds are enhanced. With BeHear you avoid having to increase the volume to counter environmental noise, such as a car’s engine, or irrelevant conversations. It monitors and processes the incoming sounds in real-time, ensuring a comfortable hearing experience that actively enhances your hearing based on the environment. Hearing comprehension on your mobile phone tends to degenerate when listening to “fast talkers” and foreign languages. It is further complicated due to the lack of the visual cues provided by body language. Deciphering recorded messages on your phone is also a challenge. BeHear employs a technology that can help. It’s called EasyListen™, and works real-time to dynamically slow down incoming speech, whether in a live phone conversation or from a recorded message, making it more natural and understandable while maintaining a natural conversation flow. 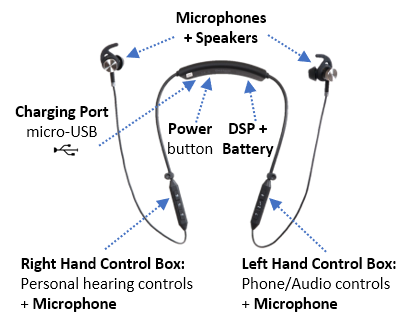 BeHear features a lightweight neck loop design with a variety of comfortable ear buds to suit your personal anatomy. The battery is designed to last throughout your waking hours. Wear the BeHear neck loop all day, and then charge the long-life battery while you sleep. Vibration alerts give you added cues to incoming phone calls and device states (power off/on, Bluetooth pairing, charging connection). Join our mailing list to get updates about BeHear pricing and availability. The Hearing Loss Association of America (HLAA) is the leading U.S. organization representing people with hearing loss. This annual convention, sponsored by HLAA in a different city every year, is an opportunity for people with hearing loss and their families to learn how to adjust to living with hearing loss, and to become acquainted with … Continue reading "HLAA Convention 2019"
CES is the world’s gathering place for all who thrive on the business of consumer technologies. It has served as the proving ground for innovators and breakthrough technologies for 50 years — the global stage where next-generation innovations are introduced to the marketplace. 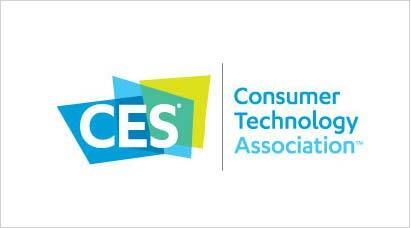 Alango technologies, such as ListenThrough™ and EasyListen™, as well as Wear & … Continue reading "CES 2020"